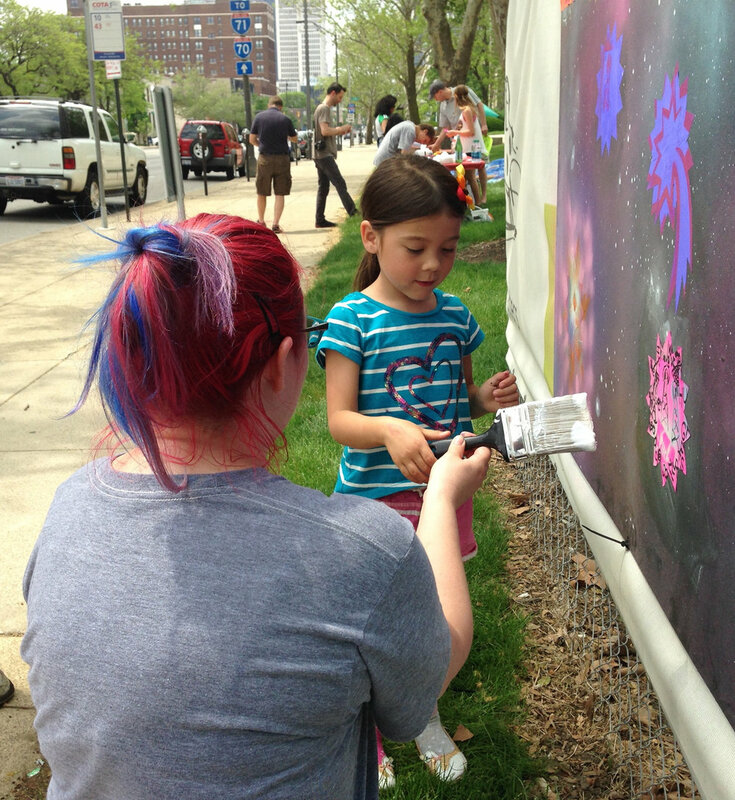 In 2015, Rond was invited to serve as a resident artist for the Columbus Museum of Art's Center for Creativity Connector Series to create a collaborative community street art piece. 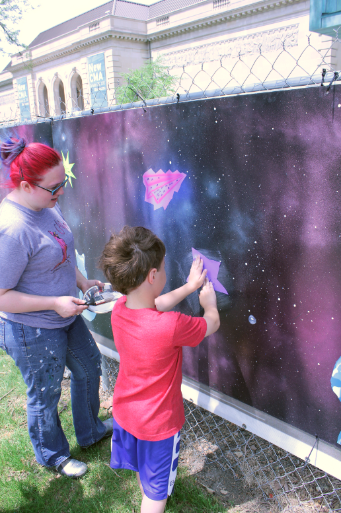 The community was invited to participate in creating messages honoring other members of the community. 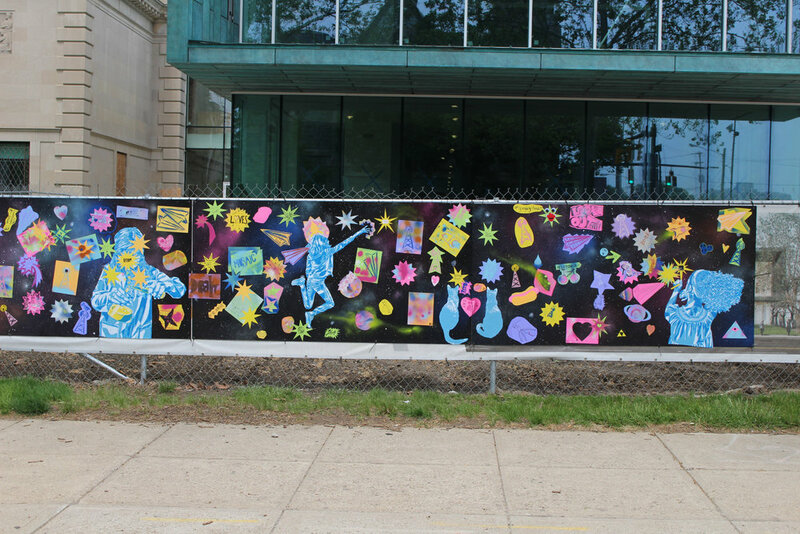 Participants learned street art techniques and worked collaboratively to create a piece on the fence surround the construction zone of the new wing of the museum. 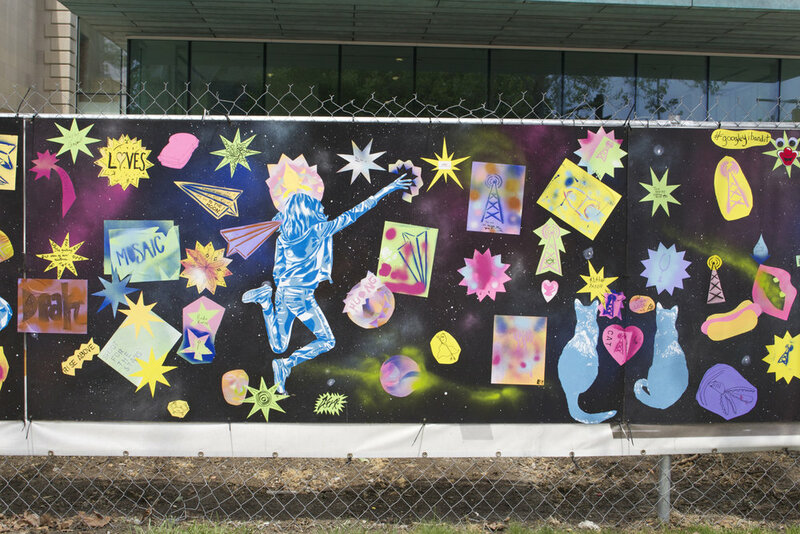 "Explore spray paint, stenciling, and wheat pasting on an outdoor art installation with street artist Stephanie Rond, co-founder of Creative Arts of Women (CAW) and founder of the website Women Street Artists. CMA’s Center for Creativity partners with some of the most provocative, creative people in our community to present intriguing, memorable experiences for visitors. 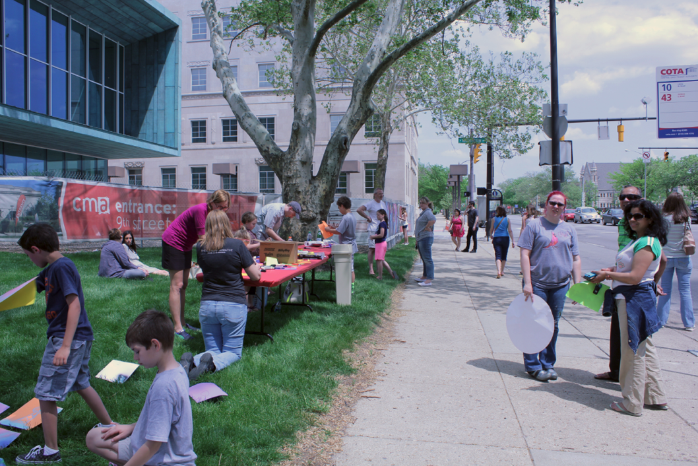 Come for unexpected encounters with local artists and performers, creative exploration, and fun. The Connector Series experiences are for visitors of every age and are included with admission."